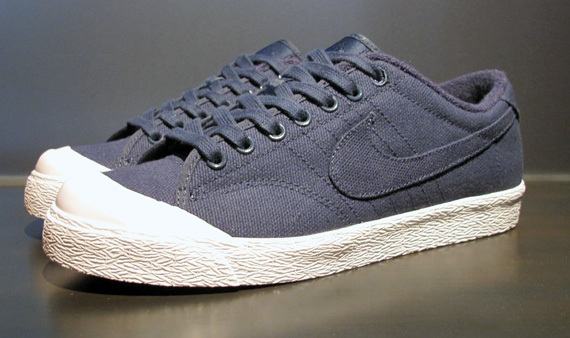 Here we have yet another vintage inspired look, this time in the form of Nike’s ‘All Court Low’ in navy blue canvas. The monochromatic colorway is really appealing, as is the subtle stitch detailing and swoosh. We’re also loving the contrasting white vulcanized sole and toe cap. A great looking shoe by all accounts.